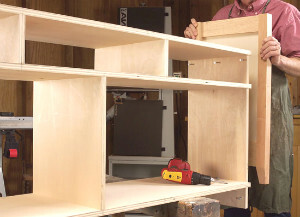 You can have your kitchen or other sideboard assembled properly without a problem if you use our services. From unpacking all the parts of your sideboard to putting them together, our technicians will do the needed work to make your sideboard ready to be used. After doing the assembly of your sideboard our technicians will clean the place from all the used tools and materials or wastes left from the process. Your sideboard will be tested and checked in the last phase of the installation to see if everything is functioning properly.